Nikki Miller-Ka writes about her life as a professional chef, foodie, local and regional restaurant trends, food organizations, food producers and everything culinary on her blog, Nik Snacks. Ms. Miller-Ka is a classically trained chef with a BA in English from East Carolina University and a Culinary Arts Associate Degree from Le Cordon Bleu-Miami. Formerly, she’s worked as a researcher, an editorial assistant, reporter and guest blogger for various publications and outlets in the Southeast. She has worked as a catering chef, a pastry chef, a butcher, a baker, and a biscuit-maker. Presently, she is a private chef, a food podcast host, and a tour guide for Taste Carolina Gourmet Food Tours. 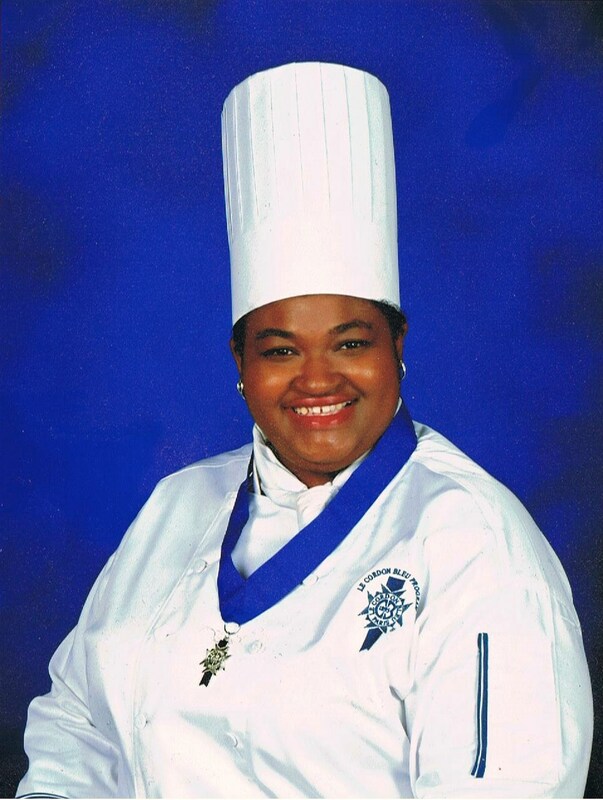 She currently resides in Winston-Salem and a proud member of the International Association of Culinary Professionals, Winston-Salem Jaycees and Girl Scouts of the USA. DISCLAIMER: I'm deathly allergic to ALL tree and ground nuts and I have sensitivities to fruits and vegetables (mainly carrots, apples, peaches and grapes). I hate beets, floppy bacon, watermelon, hot dogs, liver and most foods in animal or synthetic casings. Everything else is fair game. I’d like to think I bring my love, craft & knowledge of food to the table: after spending my formative years playing "restaurant", being responsible for the family's Thanksgiving feast since the age of 14, and developing my culinary footprint at home, I took a leap – a great leap to find myself a career in food and what a leap that turned out to be. Me & Ray Lampe, Dr. BBQ. He can feed me BBQ any time!